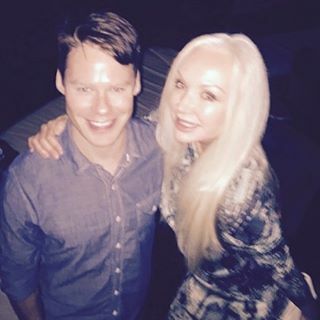 As you all know in a few hours #RandyHarrison will be performing with The Skivvies in Holiday Roadkill at Joe's Pub. 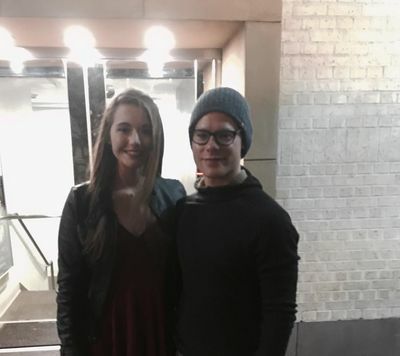 Tuesday night he was at Marie's Crisis, as reported by Patrick Fromuth who posted a picture with Randy on his Instagram adding that he got to sing with him! 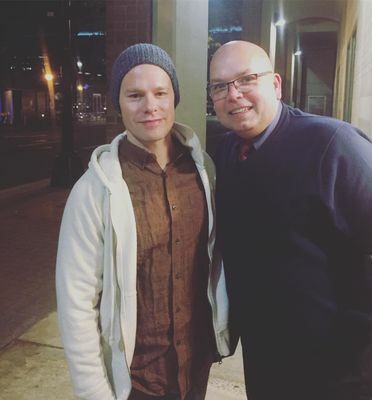 We have one last picture of #RandyHarrison from #CabaretTour in Charlotte on November 11th. Thanks to Isabel Crews who shared it with us! 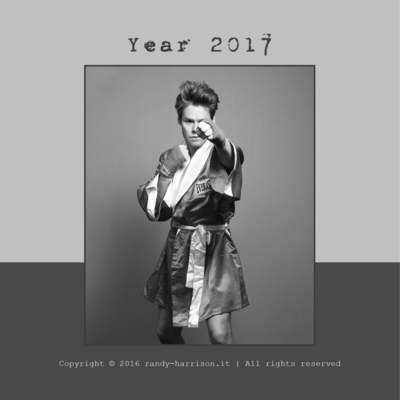 This year we're late again... but as usual here is the calendar for the whole year 2017. And as usual, we'd like to remind you that you can give it to your friends as a Christmas present... or you can simply hang it in your home or keep it on your desk or desktop... Indeed the calendar is desk size! We hope you like it! Well then: happy 2017! … you can download it HERE! 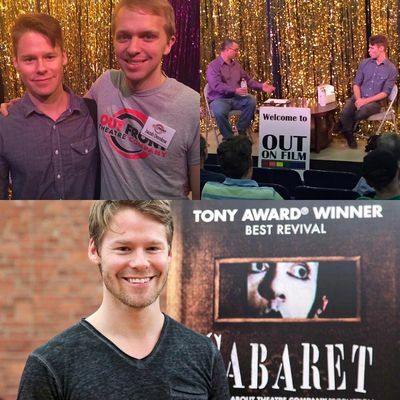 As you already know Charlotte was #CabaretTour's last stop for 2016 and #RandyHarrison and the cast are going to take a two months break. 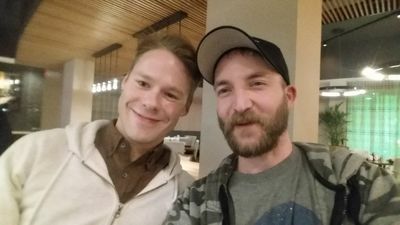 Meanwhile we added to our gallery some more pictures of Randy! 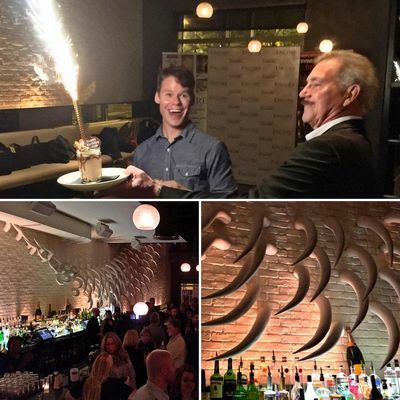 We added to our gallery two more pictures of #RandyHarrison and the cast of #CabaretTour from the Cabaret Cast Party hosted by STK on November 2nd. Thanks to Christa Burton who let us share her pictures on our website! 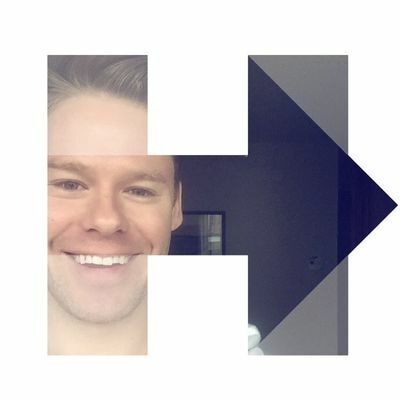 A few minutes ago #RandyHarrison posted a picture of himself on his Instagram account with Hillary Clinton's logo and the caption "Vote. #imwithher". 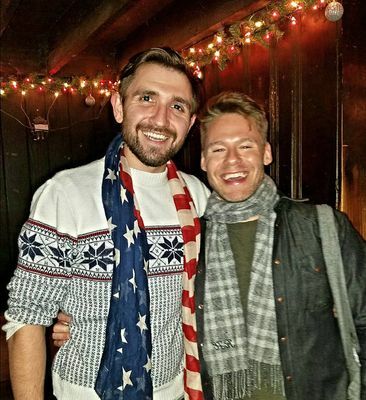 He's clearly supporting Hillary Clinton, as many other actors and LGBT groups, and took a public stand urging people to vote for her! 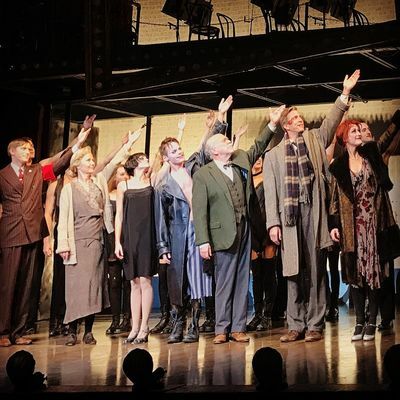 Randy is in Charlotte, NC, where he'll be performing in #CabaretTour at the Belk Theater - Blumenthal Performing Arts from the 8th to the 13th of November. 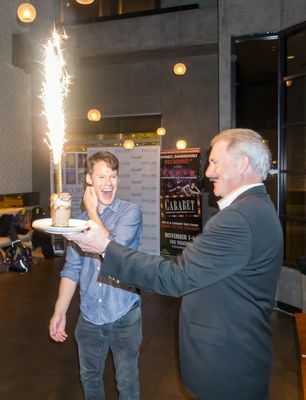 We added to our gallery some pictures of #RandyHarrison and the cast of #CabaretTour from the Cabaret Cast Party hosted by STK on November 2nd. They also celebrated Randy's birthday! 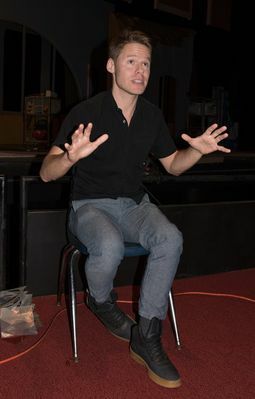 And on November 3rd Randy was at the Pace Academy, his former high school. 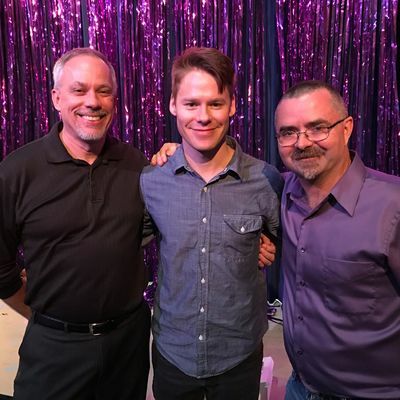 We have one more picture of #RandyHarrison from the event "Out On Film" hosted by the Out Front Theatre Company Wednesday afternoon. 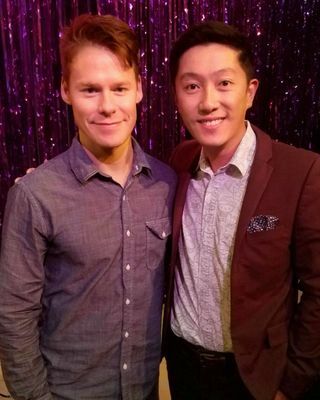 Randy is with actor Wing Liu who shared his photo with us! 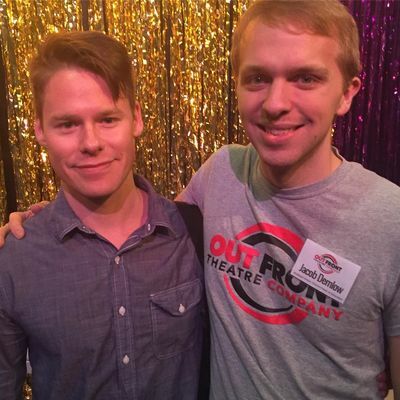 Wednesday afternoon #RandyHarrison attended "Out On Film", an event hosted by the Out Front Theatre Company, for a session of Q&A. 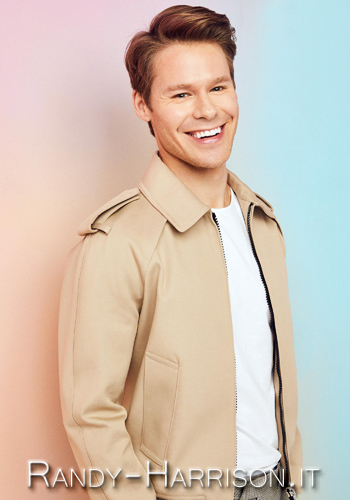 The host asked Randy about his career both on stage and on screen. 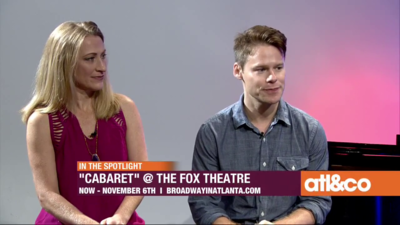 For this leg of the National Tour #RandyHarrison and the cast of #CabaretTour arrived in Atlanta where the musical is scheduled at the Fox Theatre on November 1st-6th, 2016. Wednesday morning Randy, along with Alison Ewing, was at the 11alive studios for a video interview with Christine Pullara in Atlanta & Company. Click on the image below to watch the video interview.